Your roof is not only the crown of your home, but also your first line of defense against the elements. High quality materials are crucial in providing an aesthetically pleasing, non-leaky, and long-lasting roof. 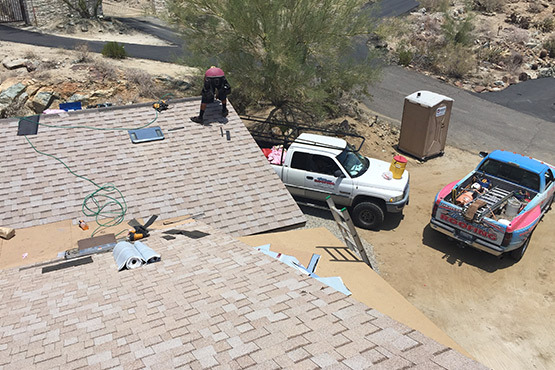 We only install the highest quality materials and have extensive shingle and concrete tile installation experience on the widest range of sloped roofs – large or small, new construction, renovations or additions. We will analyze the best type of shingle for your home. In addition, Williams Roofing handles all different styles, sizes and configurations of residential roofing and offers custom sheet metal roofing and trim.